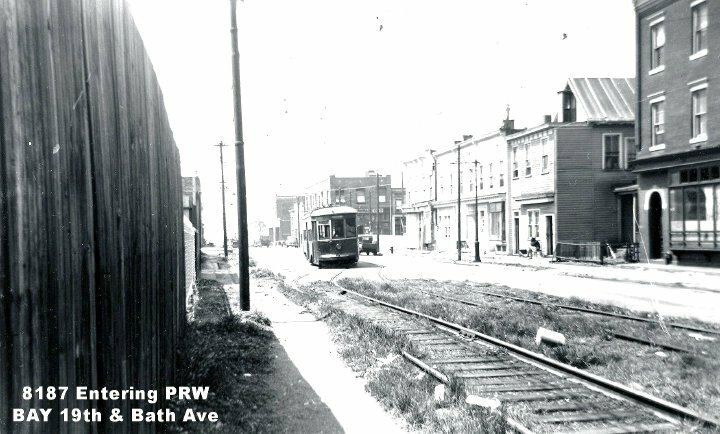 Photos from the Nate Gerstein, George Conrad & Ed Doyle Collection. 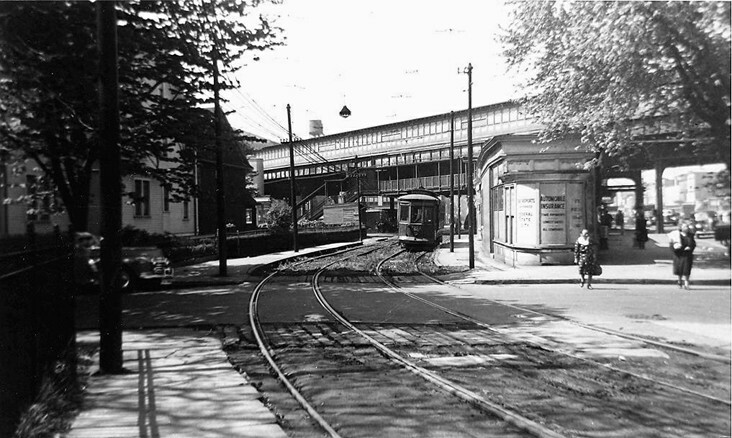 Compare the building to the left of the El Cars (on the right of the photo), and the right of the streetcar. 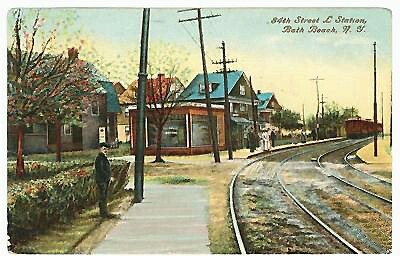 This was the junction station at 19th and Bath Avenue. 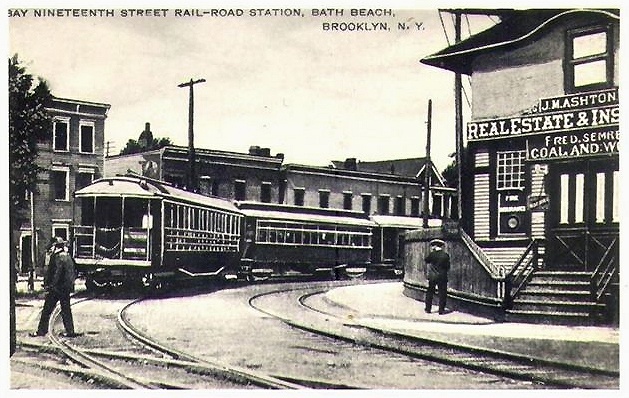 It is still a station in the el car photo, but appears to be a commercial establishment in the streetcar photo. 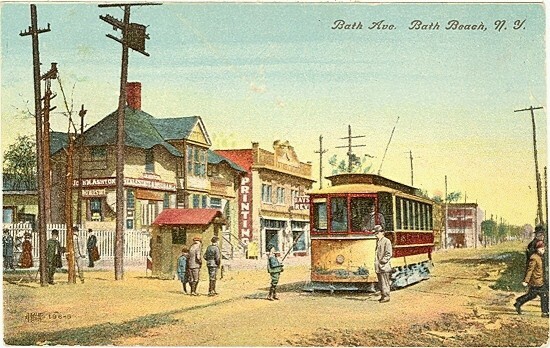 Another view of the 19th and Bath Avenue from a re-touched photo made into a postcard. 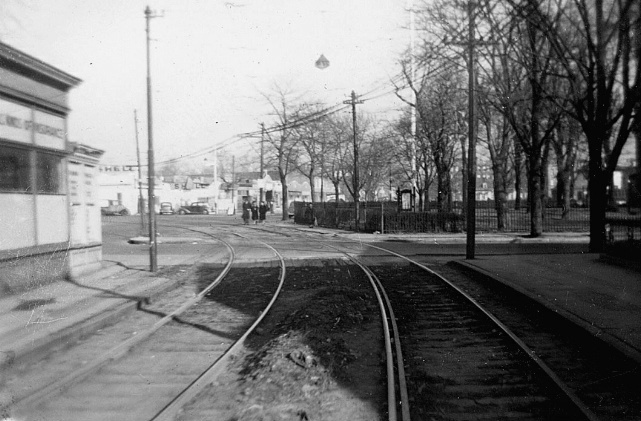 In the above two photos you can compare the row of buildings just behind the streetcar (on it's left), and adjacent to the left of the el cars of each photo. These are the same in both photos. The photos are taken about 35 years apart. Now compare the trackwork in the top left photo with the bottom right photo. 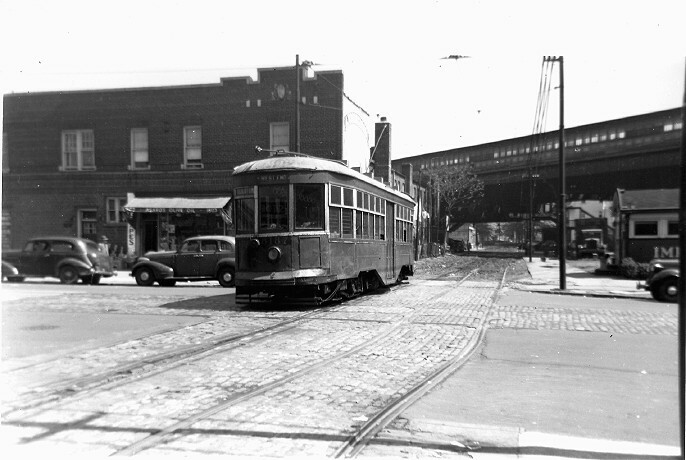 They are the same - but by the 1940's the streets are paved, the el cars are no longer allowed on the streets, and automobiles are becoming more common. Another set of photos taken almost 50 years apart. Each photographer was standing in almost the exact spot to take his photo. Car 2554 is heading north. 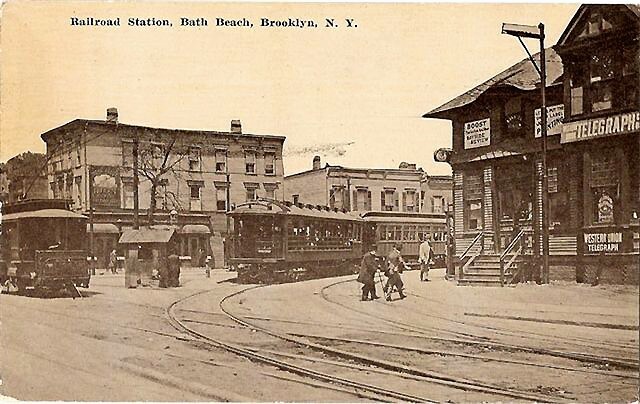 The outer sections of Brooklyn changed from bucolic to full city in a very short period of time. One wonders how the people, who lived through and saw these changes happening so quickly, felt? The photo one in from the left and middle above were taken just south of New Utrecht Avenue. 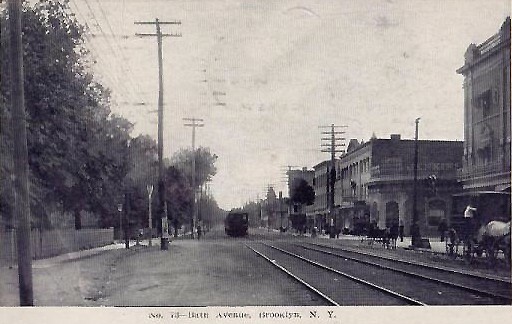 The photo on the right above was taken just north the Avenue. All photos copyright Q-Car Company, Inc. Reproduction or distribution without written permission is prohibited.